In their book, "Parenting ADHD Now: Easy Intervention Strategies to Empower Kids with ADHD,” authors Elaine Taylor-Klaus and Diane Dempster offer parents raising children with ADHD practical strategies and support. Perhaps because both authors have children with ADHD (and Elaine has ADHD), their practical, hands-on knowledge and compassion are evident on every page of the book. Elaine and Diane also have an awarding winning blog called ‘Impact ADHD’ where they educate and offer parents training in behavior management. The Structure of "Parenting ADHD Now: Easy Intervention Strategies to Empower Kids with ADHD"
“Parenting ADHD Now” is divided into 2 parts. Part one is called ‘The Highlights’ and addresses what ADHD is, how it is diagnosed, conditions that co-exist with ADHD, the 6 areas of executive functions and common treatments for ADHD. Part 1 is excellent for parents who are new to the topic of ADHD and acts as a great refresher for readers familiar with the topic. Part two is called ‘The Strategies.’ Each of the chapters in part two focuses on a key ADHD challenge, for example how to manage attention, hyperactivity, impulsivity, and moods. There is also a chapter on getting organized. It is very easy to navigate, as each chapter in part two is color-coded and has fun symbols, for example, all the pages in the chapter on managing hyperactivity have a red tab with a traffic light symbol on. The pages in the getting organized chapter have a purple tab and a paper clip symbol. These features allow you to find the information you need quickly. This book is brimming with up to date research and because the writing style is clear and concise the content is easy to understand. The information is also expressed in an upbeat positive tone that really captures your attention. It can feel lonely being a parent of a child with ADHD. Friends and relatives might try to understand your struggles, or even give parenting advice, yet they do not totally understand the challenges and stress you are facing. From page one, you sense these authors understand your struggles, frustrations, and confusion. It is always easy to see that their advice and practical suggestions come from hands-on experience rather than theoretical knowledge. This, in turn, feels comforting and empowering. The underlying philosophy in ‘Parenting ADHD Now’ is to build a solid your relationship with your child. The authors explain that the core of ADHD management is this connection. It builds the foundation for your child’s success for the rest of their lives. For example, it boosts executive functions, helps with decision making and independence and acts as a model for all future relationships. It is easy to get busy with organization systems and practical solutions to their problems, so reading about the importance of connections acts as a reminder and gives you permission to prioritize your relationship. The writers were able to create the perfect blend of positivity and matter-of-factness. There is no blame, guilt or being wrong. Instead, they simply acknowledge the problem, recognize it is frustrating and then suggest solutions. In the case of homework, for example, most parents have experienced an upsetting time when homework has been completed; however, they later learn it had never been handed in when they discover it at the bottom of the school bag or discover that it got lost. ‘Redoing work that’s already been done is infuriating for everyone, and there are usually tears involved. It’s more common than you might imagine’. Then they have 3 fun and easy ways to help stop this from happening in the future! The book is full of easy to implement strategies. Being busy parents themselves, it is clear that Elaine and Diane know how frantic family life can be sometimes. They know that long complex solutions are not practical. In addition, each suggestion is described in a simple engaging way so that readers feel motivated to try it the right way. Suggestions range from practical activities for your child to try to strategies to help you in the moment when things could get stressful. Here are some examples of practical activities from the ‘Managing Hyperactivity’ chapter. Give your child a job so they feel productive and helpful. Do some physical activity for 10 minutes before doing brainwork. Create a busy box that has activities to engage your child whenever they feel bored. 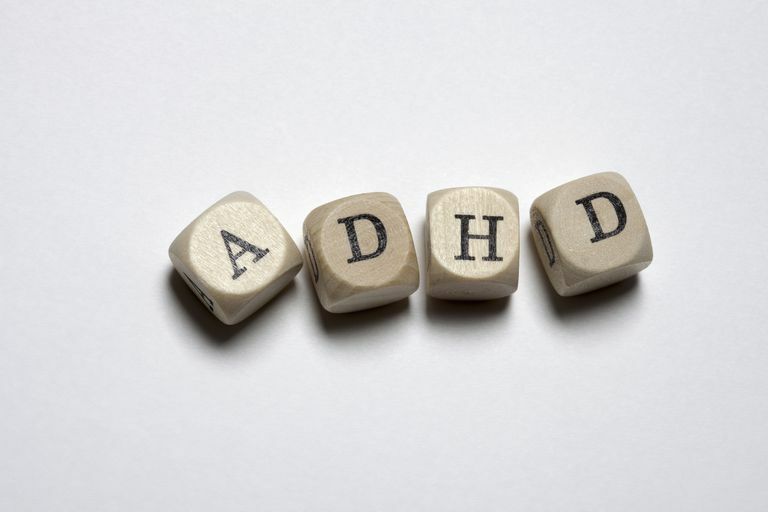 With kids living with ADHD, neurology almost always plays a part in their behavior. If they do something you wish they hadn’t, they could have been responding to a situation they found stressful, rather than being intentionally being disrespectful or mean. By asking this question, it allows you to pause for a second. Then you can respond to your child in a way that is supportive of their ADHD symptoms. This simple strategy doesn’t just help in the moment; it helps your child for the rest of their life as they will not be prone to blaming themselves. The book takes a holistic and well-rounded approach to treating and managing ADHD, including ADHD medication, mindfulness, exercise, nutrition, sleep and accommodations at school, such as an Individualized Education Program (IEP) or a 504. This book is perfect for parents or grandparents who want to learn about ADHD and how it affects the child they love. It is also a go-to guide for proactive parents who are looking for practical solutions to their families’ everyday challenges.